In this engaging book we see how an eighteen-year-old miner shoveling ore from deep in the ground in Utah suddenly found himself, only two years later, 30,000 feet in the air over Nazi Germany, piloting a Flying Fortress in the first wave of America's air counteroffensive in Europe. 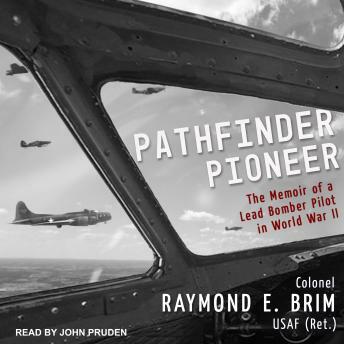 Like thousands of other young Americans, Ray Brim was plucked by the U.S. Army to be a combat flyer, and was quickly pitted against the hardened veterans of the Luftwaffe. Brim turned out to have a natural knack for flying, however, and was assigned to the select squadron developing lead Pathfinder techniques, while experimenting with radar. He was among the first to test the teeth of the Luftwaffe's defenses, and once those techniques had been honed, thousands of other bomber crews would follow into the maelstrom, from which 80,000 never returned.